In pre-Columbian times, roasted and ground chia seed formed the basis of the Native American diet along with corn and beans. It was also used as an offering in religious ceremonies, which explains why the Spanish conquerors made it disappear. The rediscovery of this plant (a kind of sage) took place in Argentina in the 1990s. Subsequently, a US company patented a cultivar called Salba (contraction of “salvia alba“, i.e., white sage), selected for its high Omega-3 content, and which is produced exclusively in Peru. Chia seed has rapidly become a new trend in health food. It is actually a source of fibre and alpha-linolenic acid (ALA) (part of the family of Omega-3 fatty acids). 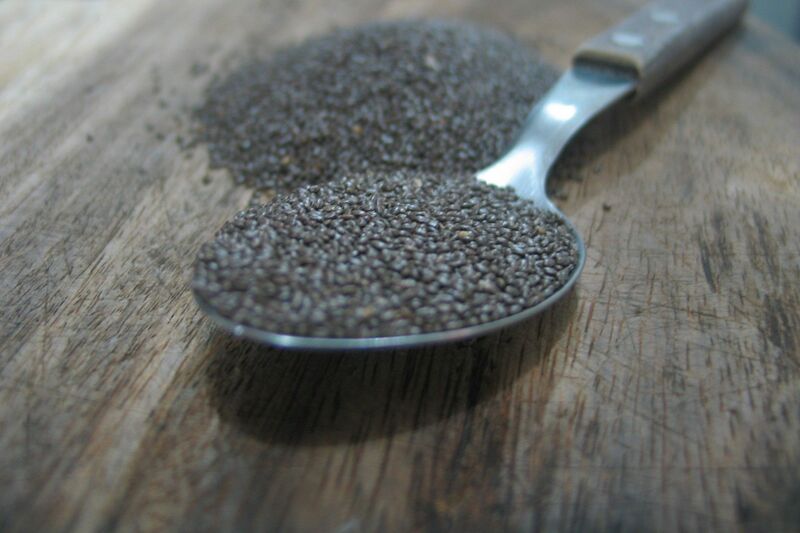 It’s easy to include chia seed in our regular diet, but though its Omega-3 content is on par with flax seed, I prefer the latter because it is a much cheaper and greener option as it requires less transport since it’s produced in Canada. Try our Strawberry and Chia Pudding which features chia seeds. Originally published in the Journal de Montréal on November 22, 2014.